Our Promise: Only ForeverLawn synthetic grass offers you unmatched realism built on a proprietary technology platform that ensures quality of our artificial grass products from the ground up. With ForeverLawn, the possibilities are endless. ForeverLawn isn’t just synthetic turf, it is a commitment to honesty and integrity in business and a desire to make you glad you chose us. At ForeverLawn, we’re not just ahead of the curve, we’re defining it. When you want your yard to look great, consider getting help from a Wylie, TX, landscaper. At #1 Ave. Irrigation & Fence Co., we're an EPA Water Sense partner, so you can rely on us to design a yard that minimizes your water use while still looking beautiful. Since we're family owned and operated, we make your satisfaction with our work a high priority. We are a certified landscape irrigation auditor, so we can answer all of your questions about water use. We pay close attention to the details and bring more than 15 years of combined experience to work for you. With a friendly staff and appointment flexibility, we want your experience with us to be positive. We're licensed and insured. #1 Ave. Irrigation & Fence Co. is available Monday through Sunday and will set up appointments that fit your schedule. To find out how we can be your Wylie, TX, landscapers, give us a call today. 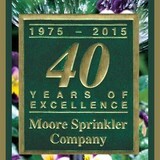 Since 1975, Moore Sprinkler Company has maintained an impeccable reputation for superior service designing, installing and maintaining irrigation, drainage and landscape lighting. Our team of designers and service technicians are licensed by the state and attend regular training to keep up to date on all of the latest and greatest technologies in the field. Our team members are experts at implementing the vast knowledge and experience gained over the years and addressing each client's needs with respect, efficiency, and professionalism. Moore Sprinkler Company would be pleased to invite you to join our large list of satisfied clients today! Experienced workforce and knowledgable office staff is the backbone for success and Jake's is Blessed to have such great teams. Each month Jake's will send out a monthly newsletter and with your Bill informing you of what is coming up for the next month letting you know what needs to be done to your lawn and Landscape. Jake's has Trivia Games that are a fun way to win a free fertilize application, Mulch or flatt of plants. Office and City News on watering restrictions are very helpful and informative. Jake's Lawn Care LLC still has the very first customers for 26 years is a true example of service, dependability and quality Jake's will provide. The landscaping and drainage specialists at Texas Oasis Landscape provide expert services through out Dallas and the surrounding cities. We take jobs of all sizes, from small properties to large sites in both residential and commercial settings. Texas Oasis is backed by the knowledge and experience of a Texas A&M University botanist and a Texas Master Certified Nurseryman, as well as30+ years of experience in drainage, irrigation, exterior design, and lawn maintenance in the Dallas area. Given an A+ rating by the Better Business Bureau (BBB) for 25+ years, Texas Oasis Landscape is one of the most professional and experienced landscaping companies in DFW. All estimates are always free for the owner of the property so there is no hassle in giving us a call. Our goal is to provide a stress-free landscaping service to all of our customers, whether the job is creating a small home garden or designing a large drainage system for a corporate office. Customer satisfaction is our highest priority and has been since 1980. Very familiar with the Texas heat, and the effect it has on our lawns and our watering ability, our mission is to show you how to have a beautiful lawn with minimal watering! Our greatest joy is to take a lawn that needs help and turn it into something spectacular! Paulo's Lawn Care & Landscape is a locally owned and operated landscaping company in Grapevine, TX, that provides professional, highly experienced landscapers to area homes and businesses. We offer competitive rates and appointment flexibility, and we arrive on time and complete projects in a prompt manner. Our company also offers a free lawn application to new clients, so be sure to ask about that when you call. We recognize that outstanding customer service plays an essential role in doing what we do well. We’re honest, we work hard to earn trust, and we’re accessible to our customers. Our landscapers are true professionals who are friendly and client-oriented. Everything we do, from the first phone call with the customer, to the finished job and explicit warranty, has this approach in mind. Our company is built on customer satisfaction! AquaFirst cares about your property, your sprinkler system, and your budget. If we are fortunate enough to get your business, then we will do everything we can to keep your business. 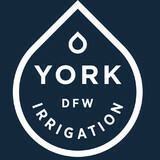 Our team of expert Plano sprinkler repair technicians will help with all sprinkler and irrigation repair needs in Plano, Allen, McKinney, Carollton, Richardson and North Dallas. 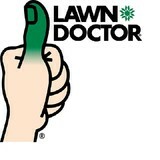 Taking care of all your lawn care and landscape service needs. Summer Breeze Lawn Care is a full service company locally owned and operated in Mansfield, Texas since 2003. We provide quality lawn care and landscape maintenance to residential and commercial properties throughout our service area. Our employees are skilled, friendly, uniformed professionals, using top quality commercial equipment. It is our business to ensure total customer satisfaction! We are committed to providing you with the highest quality service. Because your lawn means more to us, our team of trained professionals will work until you are satisfied. What types of services do gardeners provide? In addition to the maintenance side of gardening, Roanoke, TX gardeners can help you with garden design and choosing specific plants and grass types for your climate and area. May I see an example of a current or recent jobsite? Find a Roanoke, TX gardener on Houzz. Narrow your search in the Professionals section of the website to Roanoke, TX gardeners. You can also look through Roanoke, TX photos to find examples of yards that you like, then contact the Texas contractor who worked on them.